...is Elaine R! I'll email you for your shipping address. I have to return a stack of interlibrary loan books tomorrow, so I wanted to write up a review of two books devoted to breech babies. The first is Maggie Banks’ Breech Birth Woman-Wise. 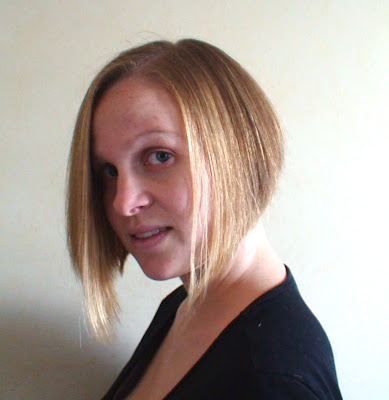 Banks is a registered midwife in New Zealand and has worked in a home birth practice since 1989. She saw many breech births, vaginal and cesarean, during her student midwife days and while she worked as a hospital-based midwife. The vaginal births she saw, though, left much to be desired. Even if a woman was able to avoid the routine epidural, lithotomy, episiotomy, and forceps usually required for a vaginal breech delivery, the births were usually highly managed and babies were actively pulled, manipulated, and maneuvered out of the mother’s body. However stunned I was at the time with an unexpected breech presentation, a similar thought came to me as it had many years ago with vertex presentation. I wondered how many of the problems associated with breech birth are created rather than inherent to breech birth. The answer has led me to support women, who make an informed decision, to birth at home with their breech babies. Banks notes that midwives have largely lost their knowledge of physiological breech birth, since they often have only seen highly medicalized vaginal or cesarean deliveries for breech presentation. Her book seeks to categorize that knowledge so that women can continue to choose to give birth to their breech babies, rather than be delivered either vaginally or via cesarean. Her books is aimed towards midwives and expectant mothers, especially those facing a persistent breech presentation. Many of the chapters cover fairly non-controversial topics: types of and reasons for breech presentations, methods of diagnosing a breech presentation, risks associated with breech presentation, evidence for and against medicalized breech birth, and how to encourage a breech baby to turn. Another chapter discusses factors in planning a breech birth, some of which are specific to New Zealand’s maternity care system. Another chapter discusses how to evaluate the newborn breech baby for hip dislocations, which are more common with babies who have been in a breech position for a prolonged period of time. The last part of the book is the most fascinating and probably the most controversial. 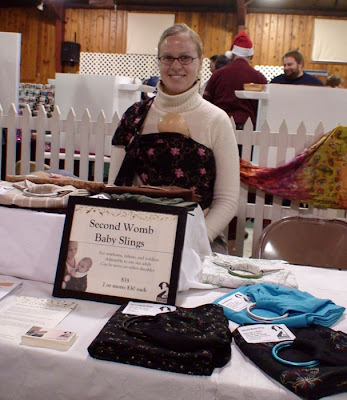 Banks outlines a midwifery-based physiological approach to attending breech births, including ideal positions for labor and birth, giving birth actively using upright and mother-directed positions, and techniques for assisting breech births when certain complications or unusual situations arise. The chapter on giving birth has some astounding series of photographs documenting several spontaneous, hands-off breech births. The women are kneeling or standing, and the baby emerges with no assistance or manipulation by the attendants. 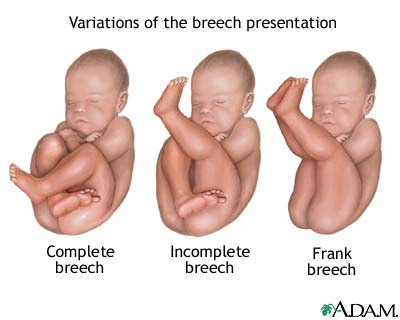 Int fact, Anne Frye’s textbook series borrowed these photographs for her illustrations of breech births. This approach to vaginal breech birth is the one I discussed in The Dance of Breech. The second book, Breech Birth by Benna Waites, is a comprehensive examination of everything and anything surrounding breech babies. Four weeks before her baby was born, Waites discovered her baby was breech and embarked on a desperate search for information. From pregnancy advice books to medical textbooks, she was only able to find scattered, limited information—nothing extensive enough to answer her many questions. She was able to find a consultant (senior) obstetrician to attend her vaginal breech birth. This journey spurred her to write a comprehensive, exhaustive book about breech birth. Exhaustive is a very fitting term in both of its connotations: this book is thorough and meticulous and examines every aspect of breech presentations and birth. It is also so thorough that it may leave the reader a bit exhausted herself! In fact, a consultant OB commented about her chapter on the evidence for vaginal versus cesarean section for breech: “This section is exhaustive and exhausting.” However, do not be intimidated by the depth of information in this book. Each chapter is organized with a concise summary and slightly longer conclusion summarizing all of the main points of the chapter. Breech Birth also includes some photographs of active breech births, although not as many as Breech Birth Woman-Wise. Besides researching the medical and midwifery literature on breech birth, Waites interviewed nine midwives and obstetricians who have extensive experience with vaginal breech births. The perspectives of these attendants—sometimes agreeing with each other, at other times diverging on certain points—are fascinating and an invaluable resource as vaginal breech birth is fast becoming an endangered species. there are few certainties when it comes to weighing up the options for breech birth. Even with the Canadian multicentre international breech trial, published in 2000, paraded by some as delivering “the answer” to the breech conundrum (the answer apparently being to routinely offer caesarean section for breech, there is sufficient criticism of the study (see Chapter 8) to leave many feeling that the answer still eludes us. Overall the body of research we have often produces mutually conflicting data, and conclusions often state that studies of sufficient size and good enough design have not yet been carried out. The active, spontaneous approach to vaginal breech birth, described in more detail in Chapter 10 and espoused by some as the only safe way to conduct a vaginal breech birth is yet to be properly evaluated. Uncertainty should therefore be the uncomfortable though realistic norm in cases of breech. I will not attempt to summarize each chapter in this review—there is simply far too much information to cover—so instead I will list the chapters. This gives a good overview of the topics covered in Breech Birth. Chapter 1: What is a breech baby? Chapter 2: Why are babies breech? Chapter 11: Emergency caesarean section after a trial of labour: not the worst of both worlds? The management of a vaginal breech birth is immensely controversial and particularly striking for the coexistence of starkly opposing views. Some argue that epidurals and forceps are essential to promoting safe vaginal delivery while others argue that this is actively harmful. The little evidence we have seems to suggest that less interventionist approaches permitting more spontaneous breech births are associated with better outcomes. Although I enjoyed both books, I would definitely recommend Breech Birth as the must-have of the two (in part because Waites thoroughly covers Banks', and many other midwives', perspectives on vaginal breech birth). I suggest that all midwives, physicians, doulas, and childbirth educators have a copy of Breech Birth on hand. Because it is published in the UK, it is not easy to obtain at a last minute notice—which is precisely when a woman, close to her due date, is trying to figure out what to do about a baby suddenly presenting, or refusing to turn from, breech. The book is written for a wide audience, from physicians, midwives, and medical students to childbirth educators and parents of breech babies. It is thorough in its research but still accessible to a lay audience without being overly simplistic. This post really should be titled "Birth on a boat" but birth at sea sounds much more romantic and dramatic, right? She was pregnant with baby #3 at the conference, although I didn't notice it until someone pointed it out; I tend to not notice the obvious. She had a cesarean for CPD (cephalopelvic disproportion, or "baby's head is too big for mother's pelvis") with her first baby, which she attributes to her caregiver's lack of patience. She had a victorious VBAC at home with her second, mostly unassisted but with the assistance of two wonderful midwives toward the end of a long, difficult labor. She had her third baby several months ago and I really wanted to know how things went. I wasn't sure if I missed the birth story, but it turns out it just needed a bit of time to get written. The birth occurred on their boat that is harbored in the San Francisco bay. Before you read the birth story, though, make sure you read her accounts of her first two childrens' births. Update on "Birth options in Serbia"
Remember a few months back, when I posted a request for help for a woman in Serbia looking into her birth options? I heard back from her friend, and everything turned out well for her. Here's the update and a link to the dad's blog post. 3. Started talking about inductions, which raised her c/sec chances, esp. since she had fibroids. So we were all braced for the "inevitable" and she was scheduled to be induced on Tuesday morning (Serbian time), which was as much time as she could bargain from her doctor. But then, labor started Monday night! She went to the hospital, and little Adam Noah was born, all on his own. No complications, and he's beautiful, and she's fine. I hate to leave a story hanging, so pass along to your readers if you like. I sure hope her next birth is somewhere where she can have more options, though! If you haven't heard about the whole Motrin babywearing ad controversy, I would be very surprised. First, Motrin placed a video ad on its website denigrating babywearing (see Jill's or Tophat's posts that include the transcript of the ad). It set the blog- and Twitter-shpere afire. Within less than a day, Motrin had pulled the ad and issued an apology. Several news and advertising outlets have written stories about Motrin's disastrous experience with viral marketing. 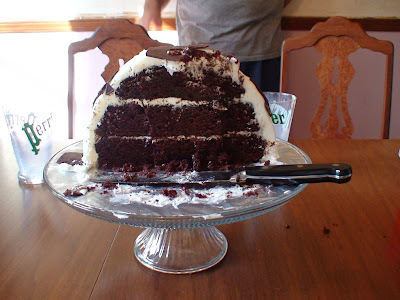 For a great roundup of the whole story, please read Crunchy Domestic Goddess' post. Even though Motrin took the ad down, I found a "bootleg" copy on youtube. Watch it here! All I can say is...what were they thinking--especially on International Babywearing Week!? 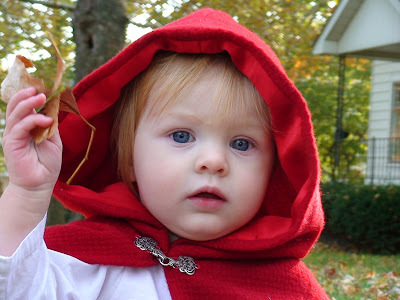 BEVERLY, MA—Today, beginning at 6:30 a.m., hundreds of members of the grassroots Campaign to Save the North Shore Birth Center in Beverly, MA, along with parents, children, and supportive community members, will demonstrate on Herrick Street in front of Beverly Hospital. Beverly Hospital is on the brink of denying natural childbirth to families of the North Shore—a potentially devastating blow to women’s reproductive choices. On the morning of the rally, the Board of Trustees of the Northeast Health Corporation will likely vote on a proposal to end the North Shore Birth Center’s 27-year history of facilitating natural childbirths. If it passes, all patients will be required to labor and birth in the hospital. The rally will begin today, rain or shine, beginning at 6:30 a.m. WHERE In Beverly, MA,midwife advocates will line up along the Herrick Street sidewalk between Heather Street and Beverly Hospital's back entrance. If more space is needed, the rally will expand toward Sohier Road. More than 300 mothers, fathers, parents-to-be, children, and supporters from surrounding communities are expected to participate. Speakers ranging from childbirth experts to parents who labored at the Birth Center to the children born there will lend their voices to the cause, speaking on behalf of both natural childbirth and the North Shore Birth Center. Established in 1980, the North Shore Birth Center has facilitated the births of more than 6,000 babies to women with “low-risk” pregnancies seeking a natural childbirth. 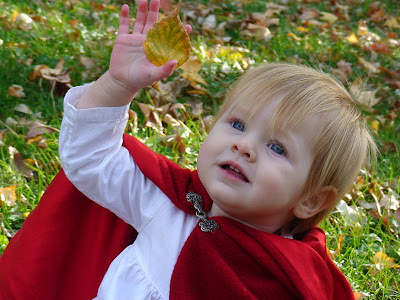 The Birth Center offers quality, compassionate care in an alternative birth setting. Media inquiries should be directed to Christa Terry at (978) 922-4970, christadterry@gmail.com. 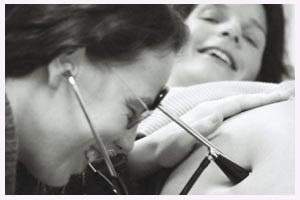 The North Shore Birth Center is a midwifery practice situated on the campus of Beverly Hospital. On Tuesday, Nov. 18, the Board of Trustees of the Northeast Health Corporation will consider a proposal to no longer allow women to labor or birth at the Birth Center. This proposal did not originate from the Board; it is being brought before them by hospital management. If the Board approves this proposal, all birth center patients would be required to labor and birth at Beverly Hospital. The members of the Campaign to Save the North Shore Birth Center are against this proposal and are rallying to strongly urge the Board of Trustees to vote against it. Women deserve to choose the birth experience that is right for them and their families. Campaign members are asking the Board of Trustees to refrain from making a decision that would deny this choice to families of the North Shore. The members of the Campaign to Save the North Shore Birth Center are not affiliated with the North Shore Birth Center or Beverly Hospital. I got my fetoscope out last night but wasn't able to find the baby's heartbeat. That was probably due to Zari jumping around and making noise the whole time, though! This afternoon I got her occupied with looking out the window while I poked around, listening. Sure enough, right above my pubic bone I got a very distinct fetal heart beat, chugging away. I was surprised by how loud it was once I found it. I am 16 (completed) weeks pregnant--or 14 weeks if you count from probable date of conception, not last menstrual period--so I wasn't sure if I'd be able to hear it this early. There's something transformative for me when I hear the baby's heart beating; it makes the pregnancy and the baby seem more real. I haven't felt any definite movement yet, and I'm just barely starting to poke out (nothing that anyone on the street would even notice). So to have that undeniable evidence that a baby is really inside of me is always really cool. Speaking of fetoscopes, I bought mine new on Ebay for $13. They're hard to find on Ebay right now, but Cascade carries them starting at $16. Make sure you buy the one with 22" tubing, not 7", otherwise it won't be long enough for you to listen to your own baby. I think it's a great thing for every pregnant woman to have and know how to use. It's fun of course, but on top of that if you have any questions about the baby's well-being you don't have to wait for a prenatal appointment to listen to heart tones. I am giving away two boxes of Fragonard mensonge bath scents and one bottle of Arielle perfume. Arielle has notes of jasmine, tuberose, lily of the valley and peach with undertones of sandalwood and amber. I purchased these during my summers in France, only to realize that I am not really a perfume-wearing person. Which is too bad, since I really love Arielle! 2) Link to this giveaway on your blog (or Facebook, MySpace, etc). Feel free to repost the picture as well. 3) US and Canadian residents only please. 4) Contest ends Friday, November 21. 5) Winner must respond within 3 days or a new winner will be picked. Bath scents are in original sealed packaging. I have opened the bottle of Arielle to smell it, but haven't used it. "One third of all first-time cesareans are performed due to active-phase arrest during labor, which contributes to approximately 400,000 surgical births per year," said Caughey, who is affiliated with the UCSF National Center of Excellence in Women's Health. "In our study, we found that just by being patient, one third of those women could have avoided the more dangerous and costly surgical approach." Henry, Dana E. M.; Cheng, Yvonne W.; Shaffer, Brian L.; Kaimal, Anjali J.; Bianco, Katherine; Caughey, Aaron B. "Perinatal Outcomes in the Setting of Active Phase Arrest of Labor." Obstetrics & Gynecology 112.5 (November 2008):1109-1115. OBJECTIVE: To examine the association between active phase arrest and perinatal outcomes. 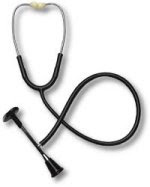 METHODS: This was a retrospective cohort study of women with term, singleton, cephalic gestations diagnosed with active phase arrest of labor, defined as no cervical change for 2 hours despite adequate uterine contractions. Women with active phase arrest who underwent a cesarean delivery were compared with those who delivered vaginally, and women who delivered vaginally with active phase arrest were compared with those without active phase arrest. The association between active phase arrest, mode of delivery, and perinatal outcomes was evaluated using univariable and multivariable logistic regression models. RESULTS: We identified 1,014 women with active phase arrest: 33% (335) went on to deliver vaginally, and the rest had cesarean deliveries. Cesarean delivery was associated with an increased risk of chorioamnionitis (adjusted odds ratio [aOR] 3.37, 95% confidence interval [CI] 2.21-5.15), endomyometritis (aOR 48.41, 95% CI 6.61-354), postpartum hemorrhage (aOR 5.18, 95% CI 3.42-7.85), and severe postpartum hemorrhage (aOR 14.97, 95% CI 1.77-126). There were no differences in adverse neonatal outcomes. Among women who delivered vaginally, women with active phase arrest had significantly increased odds of chorioamnionitis (aOR 2.70, 95% CI 1.22-2.36) and shoulder dystocia (aOR 2.37, 95% CI 1.33-4.25). However, there were no differences in the serious sequelae associated with these outcomes, including neonatal sepsis or Erb's palsy. CONCLUSION: Efforts to achieve vaginal delivery in the setting of active phase arrest may reduce the maternal risks associated with cesarean delivery without additional risk to the neonate. I spent yesterday evening and all day today selling my sling rings at a handmade craft fair. 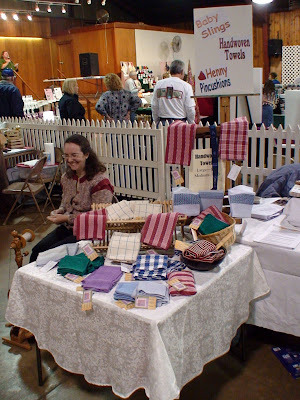 I shared a booth with two other women from church. One is a weaver, handspinner, and dyer. 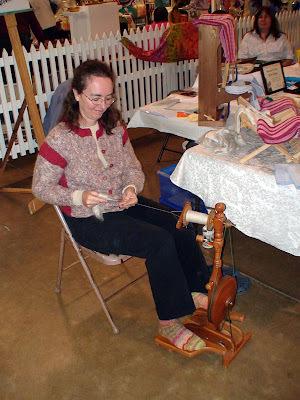 She sold handwoven towels and brought her spinning wheel to pass the time and strike up conversations. 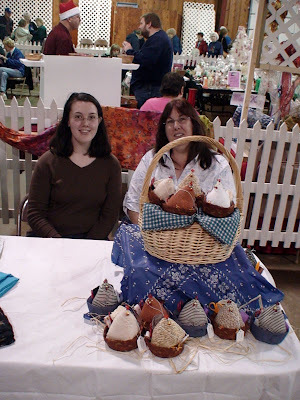 The other woman and her daughter made chicken pincushions that sat in a sewing kit nest, complete with eggs (buttons), thread, needles, scissors, and a measuring tape. Although most of the shoppers were definitely above childbearing age, I still sold four slings. Not bad for our little town! 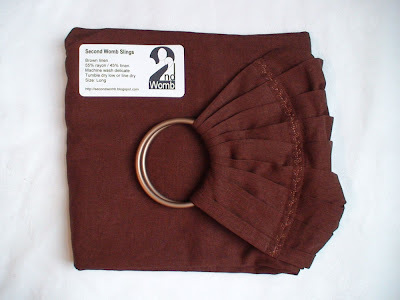 I have posted pictures the remaining styles on my website, Second Womb Slings. I wore a newborn-size cabbage patch doll in one of my slings while I was at the booth. I can't even count the number of people who thought I was a high school student assigned to care for one of those electronic babies that needs feeding, changing, and soothing at regular intervals! I guess the local high school system is doing that right now. So yeah, I got a lot of funny looks until I explained why I was wearing a fake baby. I love the parts in this article, Baby, You're Home, about cleaning up "the mess," finding enough space in small NYC apartments, and dealing with neighbors in not-so-soundproofed apartments. I have never found home births to be particularly messy, especially if you give birth in a tub. You just drain the pool, throw disposables in the garbage and washables in the washing machine and that's it! If you want a really easy clean up, buy sheets and towels at a thrift store and throw them away when you're done. My birth was probably the messiest of any I've been to, and it wasn't all that bad. There was copious bloody mucous as I was pushing--not enough to run down my leg, but present whenever I felt her head--and a good sized splat of blood when she came out (perhaps from when I tore?). I was kneeling on a few old towels, so we just threw them in the wash. I used Chux pads underneath me on the bed for a few hours after the birth. Once the placenta was out and my tear stitched up, I switched over to pads. Make sure you see the slide show, too. Great pictures of women laboring and snuggling with their new babies, as well as text explaining each picture. Failure To Progress or Failure To Be Patient? The diagnosis of FTP ("failure to progress") in labor is a hotly contested term. What does progress mean? By whose definition? Should labor always be expected to progress? What if it stops and starts, or even goes "backwards" at points (as measured by cervical dilation)? If a woman's labor falls outside statistical norms, is that an automatic indication to intervene? Mrs Kaymak had been pushing for over an hour but had still not crowned. She seemed motivated and able to complete a successful vaginal delivery so it was decided to take her to theatre to perform an assisted vaginal delivery with the option of an emergency caesarean if necessary. Of course, we do not have the complete details of the situation, as is often the case with reports about infant deaths. However, the doctor never mentioned the baby being in danger. The woman's time limit had simply expired. And it was a short one at that--just over an hour! This was the mother's first baby, so that time limit seems especially out of place. It is not at all uncommon for a first-time mom to take 2+ hours to push her baby out. The most dramatic real-life story of taking the whole picture into consideration, rather than making decisions based on arbitrary time limits, happened to my doula trainer during her fifth birth. She had given birth to four babies without pain medications, so she was surprised when her fifth birth proved especially challenging. She pushed and pushed and pushed with no sign of the baby coming out. After three hours of pushing, she finally asked for an epidural--the first time ever. She pushed for eight more hours with the encouragement of her obstetrician. She and the baby were both doing fine and showing no signs of distress; it was just an agonizingly slow process. Finally, the baby was born after eleven hours of pushing. They finally discovered the reason for the slow pushing stage: the baby had a compound presentation, which is when one or both of the baby's arms are up along its head. She remarked that she had an extraordinary physician; most doctors would have taken her in for a cesarean after only a few hours of pushing. Please share your stories of FTPs (or SBPs= successfully being patient)! I was 12 weeks pregnant when my NHS midwife asked me: 'Where would you like to have your baby?' Guessing she wanted me to choose between hospitals, I went for the nearest - King's College in South London. 'So,' she said, 'you don't want to be considered for a home birth?' I had thought home births were the exclusive preserve of West Country hippies. But ten minutes later I left my London clinic with 'home birth possibility' written on my notes. And to my surprise, Mum and Dad thought it was a great idea. Mum wasn't exaggerating. As a Forties baby she was one of the last generation to be predominantly born at home, often minus pain relief, hot water or a bathroom. Change came with the creation of the NHS in 1948. Soon, more than half of babies were born in hospital; ambitious obstetricians wanted everyone under one roof and the Government agreed. It was another day and night before Mara [her baby] arrived. I distracted myself watching movies, taking deep hot baths and eating to keep my strength up. I was glad to be at home. But my mother-in-law Elena, who had flown in from Romania, had other ideas. She hid upstairs, resisting the urge to call an ambulance, and spent 36 hours crossing herself, suffering sympathetic labour pains and shrieking that someone should give me an injection every time I let out a long moan. Mothers-in-law are great. But anxious MILs at my labor? No thanks! They would get a gentle push out the front door, with the assurance that I would call when the baby has arrived. 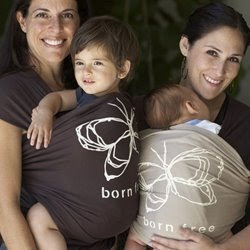 Abby Epstein and Ricki Lake commissioned these custom Business of Being Born Moby Wraps. They are available for $44 at the BOBB website or at Moby Wrap. I'm quite interested in the slogan they chose--"born free"--since that is a phrase normally associated with unassisted birth. Bornfree! is the name of Laura Shanley's website, while the second-most common term for unassisted birth is "freebirth." Now I don't think they purposely wanted that particular association. I am a bit puzzled by what they intended that phrase to mean in the context of a BOBB product. Any ideas? 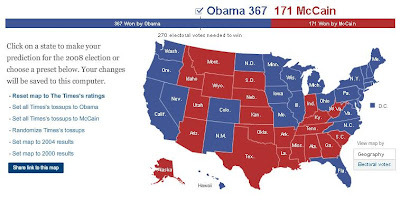 My brother-in-law, who's doing a PhD in political science at Duke, created his prediction of electoral college votes. We'll know by tomorrow which of his predictions are correct. I'm feeling on the mend, thankfully. I think I'll be back to normal by tomorrow. I'm off to buy another ream of paper to print out another dissertation copy for one of the readers. I sent my dissertation committee members the final manuscript today! Besides some paperwork, there isn't much left for me to do until the defense, which is scheduled for December 2nd. If you're interested in reading the dissertation, it will be available as a PDF download through my university after the defense is completed. I'll keep you updated. We're hanging out on the couch drinking orange juice, eating crackers, and watching movies. I hope this keeps Zari occupied until Eric gets home from work. Fever, chills, sore throat, nausea, grinding headache, body aches all over...I can barely get myself off the couch. We celebrated Zari's birthday today, since yesterday was far too crazy. I invited Zari's babysitter (a neighbor girl who plays with Zari at our house a few afternoons a week while I work on my dissertation) and a family we know from church whose youngest is around Zari's age. 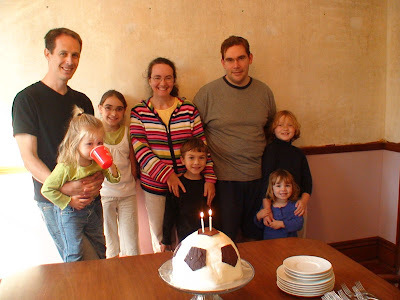 We have a tradition of making really cool/outlandish/extravagant/crazy cakes in my family. Or rather, my sisters do. I haven't tried my hand at cake decorating that much, but I decided to do something fun this year. 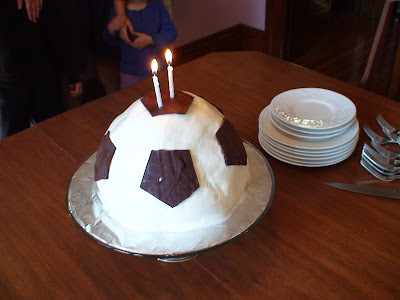 Since Zari loves to play soccer, I made a soccer ball cake. It actually turned out pretty well, and was about the same size as a real soccer ball. I had originally wanted to do a 3-dimensional fish cake, but I am glad I stuck with a simpler shape to carve and frost. And we still ran out! Our street is THE place to go on Halloween--apparently people come from all over the county to trick-or-treat on our street. 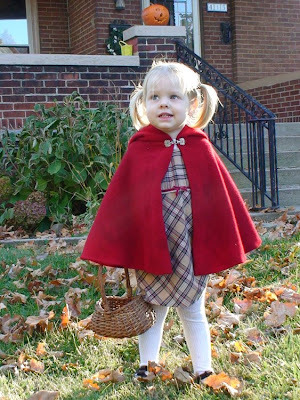 When we moved in, the neighbors all warned us to "be prepared for Halloween." So I bought over 1,1000 pieces of candy at Sam's Club and thought we were good to go. I have never in my life seen anything like this before--the sidewalks on both sides of the street were packed. We often had a line up at our house. 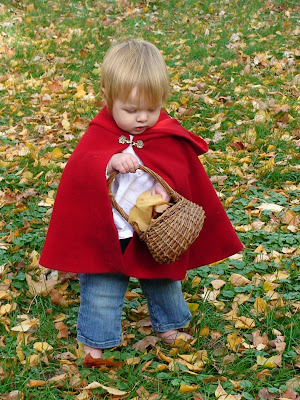 And if you're handing out candy, you don't bother to stay in the house. You sit on your porch and hand it out as fast as you can. 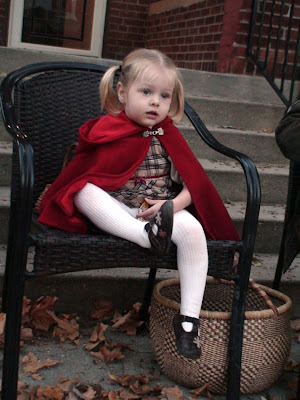 We brought Zari up and down the street, and then she helped me hand out candy to trick-or-treaters. 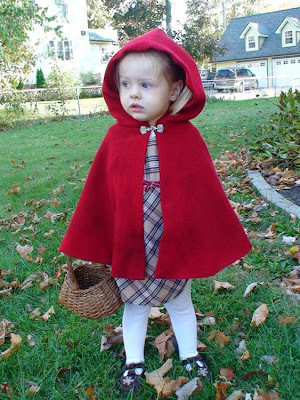 By the end she was saying "trick or treat" every time she gave a piece away.